Create a wonderful centerpiece for your dining space with the rustic contemporary elegance of the Titus Bar Table. This unique table effortlessly combines sleek modern design with a rustic feel, for a look that fits perfectly in with transitional, urban chic, or industrial chic decors. 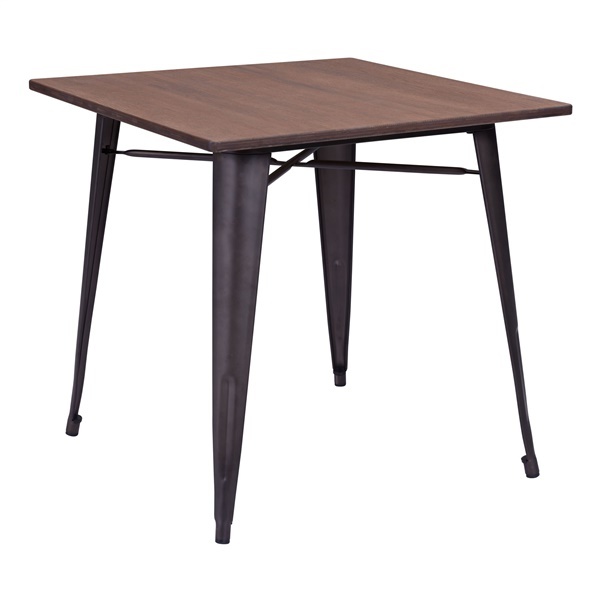 This table�s solid steel frame features a faux rust galvanized steel finish for a weathered, antique look. The top is crafted from solid reclaimed wood, and features a rustic wood finish for added warmth and character.